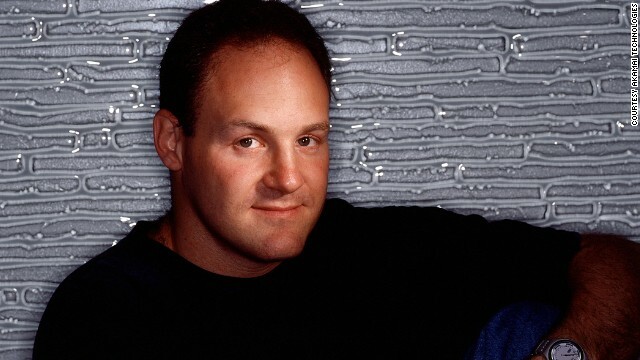 In the grand scheme of the tech world, very few of us can say we had the privilege to work with/for Danny Lewin – Akamai Founder and CTO, who we lost on 9/11. Yesterday, on the anniversary of his murder, I assembled our “Akamai Early Days – Pre-2002’ish” Facebook group to use Throwback Thursday (#TBT) to share memories of Danny. There were so many stories from his heroic sales moves and tough discussions to the more humorous incidents like when, weeks before he was about to make bank on the Akamai IPO, he tried to buy a ring for his wife at Tiffany’s and none of his credit cards would work because they were all tapped out. Sharing these stories not only allowed us to all get through what’s usually a very difficult day, with some amount of warmth and humor. These stories also reminded us of the type of leader Danny was and inspired us to be. One post to the group was an email Danny wrote on leadership that my dear friend John Healy had saved for all these years. This note was sent when Danny had just taken the reins as the head of Product Management. It’s truly inspirational and worth sharing. I believe this message planted a seed in many of us over 13 years ago to be better leaders and as I have watched my colleagues from those early days at Akamai grow in their careers – still there or now on to other great companies – I see a little bit of Danny’s spirit and leadership in each of them. Please read and take notes! I’m writing this email to communicate to you some leadership principals that I believe are very important and that I want to see implemented in our organization. As the management team of product management it is core to what we do to think about the leadership of our organization and of the company. Most management teams don’t spend nearly enough time thinking about leadership – and the result is low productivity, inefficient decision making, and subdued creativity. I want our new organization to be an example inside Akamai of how thinking actively about leadership, and planning how to motivate and empower people, can lead to a great organization that executes flawlessly. Great leaders create great teams. You can always tell that there is a great leader at hand when you see a group of people that are executing as a team. People do not naturally create good teams. Most intelligent human beings are opinionated, irrational, jealous, and angry – but when there is a great leader at hand people seem to put all that under the rug and concentrate on working together towards a common goal. So, a great leader is someone who can create a great team, and creating a great team means understanding how to manipulate people to work together instead of against each other. Surprisingly, people in groups behave in very predictable and reproducible ways, and hence, there are some common principals that great leaders use over and over again to create teams. It is almost like we humans have built inside of us a basic capacity to function in a team that just needs to be turned on by pushing the right buttons – we need to identify the buttons! There are a zillion things a great leader does to create and lead a team, but I want to focus on the ones that I believe are the most important. There are only three. These may seem harsh and simple, but please read on to understand what I mean by each one, and how I see us implementing these principals in our organization. A leader needs to exhibit truly exceptional abilities in at least one aspect of the personal skills required from team members. This allows people to give the leader responsibility for decisions related to the tasks that the team executes with a feeling of safety. For example, if the team is required to program, the leader must be an exceptional programmer in at least one area. This requirement is ignored in many reorgs and hirings – but is critical to the formation of a great team. This does not mean that the leader has to be the best at everything that the team does – just in some specific areas. No good team member will submit to the leader without at the very least respecting his or her capabilities. A good leader both has the required capabilities AND makes sure that the team knows it! Without this quality – a leader will fail. A great leader identifies the job specific behaviors that the team needs to have to succeed and makes sure to exhibit them to the extreme. For example, if a team needs to work weekends to be successful – the leader will work weekends, holidays, and nights. If the team needs to manage costs down to be effective, the leader will reduce his/her own salary and follow up on all expenses. People are motivated on a day-by-day basis by a leader who maintains a superior record of professional behaviors – this tells people that they have to live up to the expectations of behavior because their leader can always hold herself up as an example. a. Clear Goals and Objectives – Teams form around a leader to achieve objectives. Without an objective, a leader cannot build a team. Team members want to see goals and objectives communicated clearly. Vagueness in goals and objectives is the death of team. b. Crisp Decision Making – Leaders make decisions and teams expect and need leaders to make decisions. Decisions should be made by soliciting input from all relevant team members. But – the responsibility for the decision is with the leader. Decisions need to be made efficiently, firmly, and with authority. Once a leader makes a decision, the team needs to be held accountable to accept that decision. Team members make decisions all the time while working, and for teams to be effective they need to make decisions. The way that a leader makes decisions is emulated by the team, so great leaders make an effort to expose to the team how they make decisions. 1 – A leader always follows up on work that is delegated. Always and often. Team members perceive micromanagement not because of follow up, but because of shortfalls in other areas of leadership. 2 – A leader manages down to the details. Great leaders follow up on the details of what team members are doing. Truly great leaders create atmospheres where team members feel responsibility, but also search out the leader to share the details. 3 – Leaders always work harder than all of the team members. If you have X work for your team, you can delegate X into three parts, but the follow up and the details will sum up to more than a third of X.
d. Integrity – Team members need to trust the leader. Trust is inspired by integrity. Integrity is the firm adherence to a code of professional behavior that the team respects. This includes directness, honesty, clarity of conversation, and a sense of incorruptibility. e. Equivalent Accountability – Only leaders can cause the principle of equivalent accountability to take hold in a team. Equivalent accountability is the principle of holding all people and all organizations, at all levels to the same standard of performance and honest dedication to the mission at hand. Teams that operate without equivalent accountability, tend to disintegrate into unfortunate politics and finger pointing, which takes the place of forward progress for the team. Leadership by example is the number one priority for all leaders – and I expect us in Product Management to focus on the example that we set for our own teams and for the whole company. Teams form around a leader when there is *necessity* for a team. Teams are necessary when there is an external circumstance, requirement, goal, obstacle, or pressure that cannot be overcome or achieved by an individual alone. In any case where you are required to lead, there must be some necessity for a team – so the circumstances at hand usually provide the external pressure. Many times, people who lead believe that the goal of a leader is to shield teams from the external pressures. This is a mistake because is prevents the team from feeling the need to become a team. People need the pressure to form a team – this is how people work. Great leaders keep their teams under pressure at all times. External pressure alone however is not enough for a team to form. External pressure is like having critical mass for fusion – you still need the compression to start the chain reaction. In team building the compression comes from Suffering Together. Suffering together means allowing a team to feel pain related to the external pressure as a group. Truly great leaders make sure that during team formation (and at regular intervals after that) the team suffers together. This may seem simplistic, but groups of people are very predictable – teams need to suffer together to form. The third and last key principal for building a team again seems trite at first glance. However, this is probably the most misunderstood of the three principals. a. The team respects the leader for taking action when holding someone accountable reveals that they are not holding up their part of the bargain. This creates trust in the leader. In addition, when accountability is equivalent for all team members, the leader demonstrates integrity to the team. b. The team feels comfortable trusting each other – because if they are still in the team, they must be performing against the teams goals and objectives. This sense of safety in the group is key to a great team. a. This principal does not say that anyone who does not perform needs to be fired immediately. Leaders work with people to improve and to achieve first. Only if after fair chance and help a team member is not performing should they be removed from the team. b. Both parts of this principal need to be applied for it to be effective. People have to have commitments that can be fairly measured. Only after people have a chance to execute on clear commitments can they be help accountable by the leader, and only then can the leader effectively decide to remove non-performers from the team. This means that coming into a team and getting rid of 3 non-performers does not contribute to team building. These principals are simple to state, but the way they affect people is quite profound. It is worth thinking about the successful and unsuccessful teams that you have been a part of and recognizing how these principals applied to each situation. Questions to me. In the new organization we are building I plan to leading our team by these principals – and I want you to think about how you can implement these steps in your groups as well. Our ability to provide good leadership is key to Akamai not becoming “just another company” – we need to take it seriously as a group. Thoughts, questions, suggestions – to me. So what IS a Startup Foundry, anyway? When I pul led the trigger this summer and decided it was time to head back to work full-time after a year-long hiatus, I knew I wanted to do something meaningful and interesting. I had just finished a stint as an EIR at TechStars Boston. I loved working closely with the founders and key members of early stage companies to help them strategize on their businesses, hone their messages and prepare for Demo Day where they would hopefully garner interest from prominent investors. I made some great connections along the way and even invested in a few of these companies myself as a first-time Angel. But it wasn’t enough. I knew I liked the dynamic nature of working with different startups and building relationships with various founders and their teams. However, I also yearned to go deeper with companies; to roll up my sleeves and dig into technical work and business strategy as well as help develop operations including the companies’ employee culture. My challenge was to find the right home that wasn’t just a C–level position at one particular startup. As I explored options, I found there was a new type of opportunity unlike those offered by accelerators and incubators. There are Foundries, like newly created Blade Boston. So, what makes Blade different than an accelerator or incubator? TechStars (or Y Combinator, MassChallenge here in Boston, and others) is a national start-up accelerator that offers a wonderful opportunity for early stage companies to get skilled on how to do everything from bootstrap and solidify their MVP to raising seed capital. Like most other accelerators out there, it’s a fairly well defined program with a specific set of activities offered over a defined set of weeks that culminates into a demo day or some other type of grand finale. Accelerators take a fair amount of equity in a company (average 5%) in exchange for their offering and most startups that take this route consider this reasonable given the fine tuning and exposure they receive in these programs. Accelerator organizations enlist the support of a broad array of local, seasoned mentors who spend time with each class offering advice and their valuable network of resources. Often, these mentors are also Angel investors and VCs who end up on the cap table and/or boards of these companies. These programs are terrific, don’t get me wrong, but as someone itching to go deep, they didn’t offer what I was looking for as my next gig. Incubators are somewhat different. There are two flavors – those that come up with their ideas themselves and then find CEOs to execute (e.g., Redstar Ventures) and there are those that offer a facility and resources of like-minded people, as well funding to develop their products (e.g., Bolt* or Greentown Labs). There are less programatic features to incubators, but they can be invaluable to companies who need a space to work with amenities and skilled resources and mentors available to help them along the way. I love hanging out at these places and can see the value they offer to the companies I work with – several of whom had already “graduated” from TechStars and MassChallenge – but again, these were not places where I could get the right level of engagement. As I discussed what I was looking to do next with my Personal Board of Advisors, several of my board members said “Talk to Paul English, he’s doing something that may be perfect for you.” Paul and I had met only a couple of times before and I knew he was building Blade, but I wasn’t really clear about what Blade actually was. I knew Paul had an excellent reputation as a startup founder and all around good guy and I had heard he, along with his co-founders Bill O’Donnell and Paul Schwenk, had attracted some amazing talent (e.g., Brian Kalma, a nationally recognized top designer with whom I had worked at TechStars) to get Blade off the ground. So, I reached out to Paul to learn more. What I found was a startup Foundry and the perfect fit for my next gig. As a startup Foundry, Blade offers something uniquely different from accelerators and incubators. We attract very early stage companies with great founders and a hard problem to solve. At Blade, we care less at first about how the entrepreneurs are solving the problem, because we assume that the right team is on the right problem and they will figure out, tweak, and e volve the solution until perfect. We don’t want to be heavy handed on defining the solution. We trust the founders to do that. We are just very, very active helpers. This is what makes us a Foundry. We have hired a lean, but extremely talented team of designers, engineers and product people that are assigned to work with our intentionally small set of companies we invest in at a time (3-4, max). We set no specific timeline on how long each company can hang out at Blade, but our goal is to help each company launch successfully with a solid team and a healthy series A. Because Blade can assign significant industry talent on a startup, as well as Blade management assistance, Blade takes some co-founder equity in the venture; the amount varies per deal. So, it’s been a few months now and I am happy to report that life at Blade is pretty amazing. The team I get to work with every day is some of the most talented I have had the opportunity to work with in my career. Not only are they a wealth of expertise, but they are also exceptional humans – kind, compassionate and extremely fun. The companies we’ve invested in (three so far: Wigo, Classy and one stealthy one I can’t write about….yet!) are thriving. Blade is a startup itself, so we’re also continuing to develop what we do and how we do it, but so far so good! Look for future blog posts on progress at Blade – including lessons learned, tips and tricks for startups and their mentors. Have more insight into the various accelerators, incubators and foundries out there? Please reply in the comments below! *While I’ve categorized Bolt as a startup Incubator, Ben Einstein, Managing Director of Bolt, says “Bolt is technically a venture fund, so we use ‘extremely hands-on seed VC'”. Hm, perhaps Bolt is a Foundry too!